Competition Electronic (Zhuhai) Co., Ltd.
One outdoor station with 10 indoor monitors in a house. Centralised power supply for the whole system for easy installation. 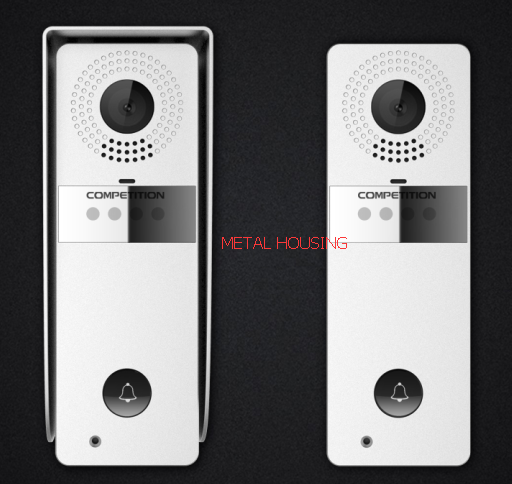 Smart home, bluetooth access control and emergency call functions optional. Cloud and smart phone application with your own logo and service permission. 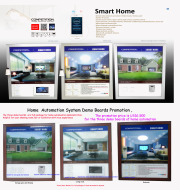 home automation system products demo boards for easy show. 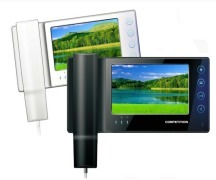 VALOR SERIES: monitors 4.3" and 7", villa or building system. 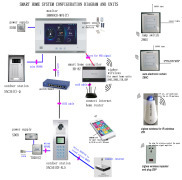 Expand to smart home system. Gold or silver colour optional. Model 690, black and silver, white and gold, different match all by you. Model 398, colourful buttons according to your favour. Visitor snapshot taken & Instant notification. 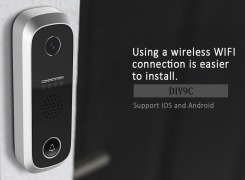 Support unlock door without picking up the call. Pick up call or hang it up optional without letting the visitor knows. One outdoor station is used for two houses and control two locks. 16 ringtones for indoor monitors. A variety of designs of indoor monitors. Building system with centralized power supply. Direct buttons and digital keypad for outdoor station optional. 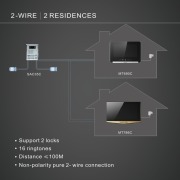 Pure 2-wire connection for the whole building structure. 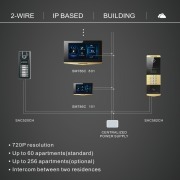 IP based indoor monitors supporting multi-functions. Support smart phone and Cloud service optional. COMPETITON ELECTRONIC (ZHUHAI) CO., LTD is a leading manufacturer and solution provider of SMART HOME,VIDEO DOOR PHONE, IP INTERCOM, Door Entry,ACCESS COTNROL, HOME AUTOMATION AND POWER SUPPLY,CCTV and cell phone video door phone intercom in China for 30 years. The products have been exported to Europe, North America, South and Middle America, Asia, Australia, middle east and Africa, are satisfactory with our customer. we have a strong professional R&D engineers and QC engineers team. our 30years professional experience guarantee the best quality, stable system and perfect solution for your project. I am happy to write to establish the business relationship with you.also please refer two our website www.competition-electronic.com and www.competition.com.cn. FOR MORE INFORMATION CONTACT COMPETITION ELECTRONIC (ZHUHAI) CO., LTD.